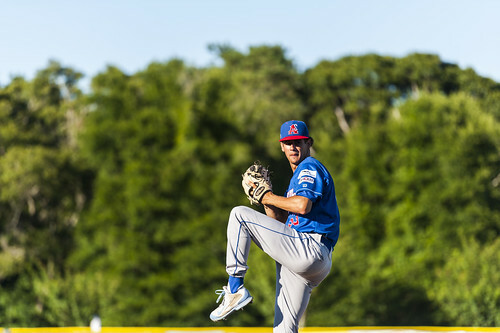 The Chatham Anglers (19-17-2) returned to their winning ways with a victory over the Harwich Mariners on Wednesday night. After a day of rest Thursday, the A’s will travel to Red Wilson Field on Friday to face the Yarmouth-Dennis Red Sox (23-11-4) at 5 p.m.
Chatham clinched its spot in the playoffs when the Brewster Whitecaps lost Wednesday. The Anglers and the Red Sox are the only two teams in the Cape League to secure their place in the postseason. The A’s are 2-2-1 against the Red Sox this summer but have yet to win at Red Wilson Field. Austin Bergner (North Carolina) will make his fourth start of the season Friday. The right-hander has been one of Chatham’s top pitchers this season, allowing six earned runs in 16.2 innings of work while striking out 21 batters. Austin Bergner has struck out at least six batters in each of his three appearances this summer. Bergner’s most recent outing came just over a week ago when the A’s blew out the Whitecaps, 17-3, at Stony Brook Field on July 19. The right-hander lasted six innings, his longest outing of the season, and surrendered three runs on seven hits. The Red Sox visited Veterans Field on July 21 riding a two-game win streak over the A’s. Chatham’s Alek Manoah (West Virginia) tossed six frames and conceded two runs on three hits before Jeff Belge (St. John’s) closed out the final three innings. The two pitchers combined to strike out 19 Y-D batters, tied for the most strikeouts in a game by any team this season. Michael Busch (North Carolina) put the Anglers ahead in the bottom of the first with a two-out solo-shot. The long ball jump-started the A’s offense, which went on to tally six more runs in an eventual 7-3 triumph. Tristin English (Georgia Tech) smacked a three-run homer in fourth, snapping his 1-for-17 rut, to put the home team up six. After the Red Sox plated two runs a half-inning later, Busch provided the finishing touch in the seventh with his second homer of the game. After dropping consecutive fog-shortened five-inning contests to the Kettleers and Whitecaps, Chatham defeated the Harwich Mariners, 6-3, for the fifth time this season Wednesday. After a scoreless first two frames, the Anglers broke through in the bottom of the third when Harwich second baseman Jordan Greene (Clemson) misplayed a Blake Sabol (Southern California) grounder, allowing the ball to travel to shallow right field. On the play, Greg Jones (UNCW) dashed home from second base to put the home team up, 1-0. Colin Simpson (Oklahoma State) and John McMillon (Texas Tech) added a pair of long balls in the bottom of the sixth to put the Anglers up, 3-2. They would never surrender the lead. In addition to a John Rave (Illinois State) RBI single, Chatham scored via a fielding error and balk as part of a five-run sixth inning.